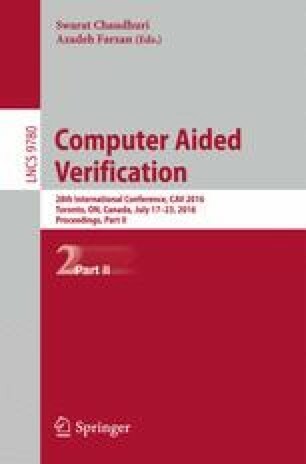 In this paper, we develop an approach to find strategies that guarantee a property in systems that contain controllable, uncontrollable, and random vertices, resulting in probabilistic games. Such games are a reasonable abstraction of systems that comprise partial control over the system (reflected by controllable transitions), hostile nondeterminism (abstraction of the unknown, such as the behaviour of an attacker or a potentially hostile environment), and probabilistic transitions for the abstraction of unknown behaviour neutral to our goals. We exploit a simple and only mildly adjusted algorithm from the analysis of non-probabilistic systems, and use it to show that the qualitative analysis of probabilistic games inherits the much celebrated sub-exponential complexity from 2-player games. The simple structure of the exploited algorithm allows us to offer tool support for finding the desired strategy, if it exists, for the given systems and properties. Our experimental evaluation shows that our technique is powerful enough to construct simple strategies that guarantee the specified probabilistic temporal properties. This work is supported by the National Natural Science Foundation of China (Grants No. 61472473, 61532019, 61550110249, 61550110506), by the National 973 Program (No. 2014CB340701), by the CDZ project CAP (GZ 1023), by the Chinese Academy of Sciences Fellowship for International Young Scientists, by by the CAS/SAFEA International Partnership Program for Creative Research Teams, and by the Engineering and Physical Sciences Research Council (EPSRC) through grant EP/M027287/1 (Energy Efficient Control).